At ITB we use shed hunting as one of the ways we scout our farms each year. If you book a hunt with Illinois Trophy Bowhunters you are invited to come out and go shed hunting for FREE! You can even keep the sheds you find, provided you beat your guide to them once they are spotted! As our guide and Shed Hunting Expert Jim Paine once said “If a new hunter is between you and the shed he is probably going to get hurt, and not going to be able to hunt in the fall.” Illinois Shed Hunting can be a lot of fun and you can learn a lot too! Our Illinois shed hunting takes place each year in March. 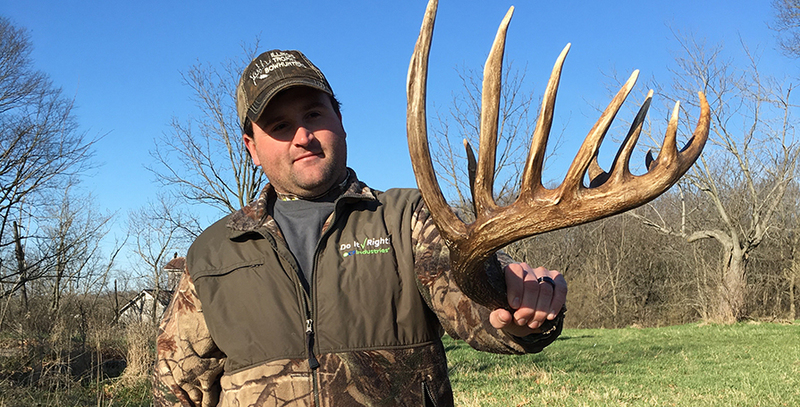 Shed hunting increases the odds of success by the many things accomplished and learned on a spring trip to Illinois. We have groups of 5-6 hunters who have hunted the same ITB camp every year and who have all taken the best bucks of their lives. They still hunt sheds every year! They know how important it is. On these trips, we hike the property and learn the boundaries, study the aerial photo while hiking, we teach the relationship of bedding areas to stand sites, learn the hiking trails into stand sites, choose tree stand locations, and trim shooting lanes; so when the season comes along we are ready to hunt and do not have to disturb the woods any more than needed. Hunters leave with an appreciation of our farms, guides, and an aerial map with the notes they made while hiking. This knowledge increases the odds of success greatly, and that knowledge allows the hunter to communicate much better with his guide later during the hunt. While shed hunting, we focus on the best and biggest buck sign on each farm, and discuss the route that buck is using based on connecting the dots of that buck sign, we review which stand sites should be hunted for him with only specific winds, and the best route for the hunter to access that stand to decrease the chance of bumping that buck! 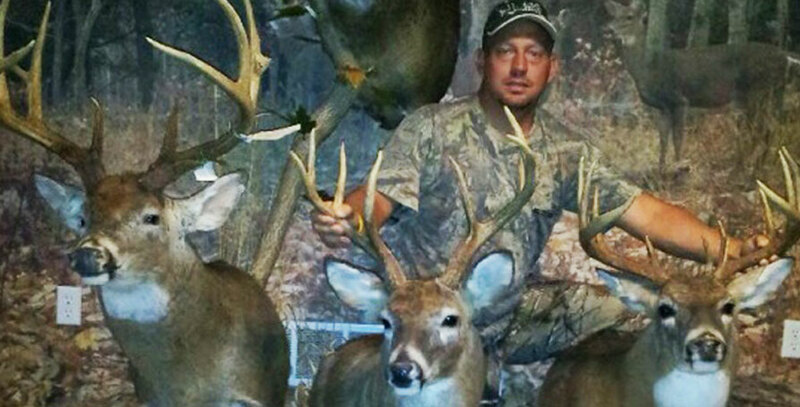 Hunting and harvesting mature whitetails involves many factors including planning, patience, skill and a bit of luck. Shed hunting is part of our planning phase. We recognize harvesting a trophy whitetail also involves proper management of the animals being hunted, but we look at shed hunting as training our hunters to increase success. So what are you waiting for? Book a hunt with us today and come out shed hunting with us next March!